Music Together con Español is a bilingual English/Spanish version of the Music Together mixed-age class you know and love. The songs in each collection have been recorded in a mixture of English and Spanish, which you’ll take home. And, in addition to your weekly classes and the bilingual recording, you’ll receive the new English-language illustrated songbook, a booklet with the Spanish lyrics, and a family newsletter with more at-home music-making ideas that can hacer que cada día sea más divertido—make every day more fun! Music Together con Español is an opportunity for live music making that easily incorporates verses in Spanish both in class and at home, without making the experience about teaching either the Spanish or English language. Our goal remains to support children’s basic music competence and to nurture grownups as the main role models. If your child is in a dual language (English/Spanish) program in preschool or kindergarten, this can be part of your at-home language support, regardless of your primary language. If you enjoy singing and sharing the Spanish language with your child, this class is a great place to learn how to enrich that experience. The class teacher, while not fluent in Spanish, will model singing the words to guide you in both languages, and the songs have been professionally recorded by Spanish-fluent musicians with impressive backgrounds, including our very own Uncle Gerry! 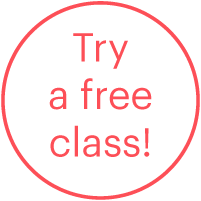 You are welcome to join us for a no-obligation trial class at any time. Please contact us and we can help you arrange your visit.